It's here! My new book is here! It was a long time coming and I am so excited to announce its arrival: Go Big, Go Bold - Large Scale Modern Quilts - 10 Projects. Quick to Cut. Fast to Sew! So often, I am asked what inspired me to write, Go, Big, Go Bold. The answer is simple: To quickly teach others what took me years to learn; how to make great, sizable, quilted projects within days as opposed to within months or years. 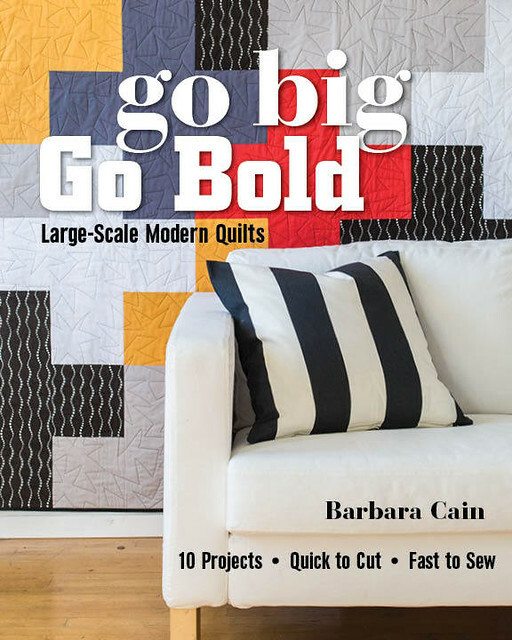 Case in point is the Big Pennant Quilt, just one of the 10 patterns included within the book. 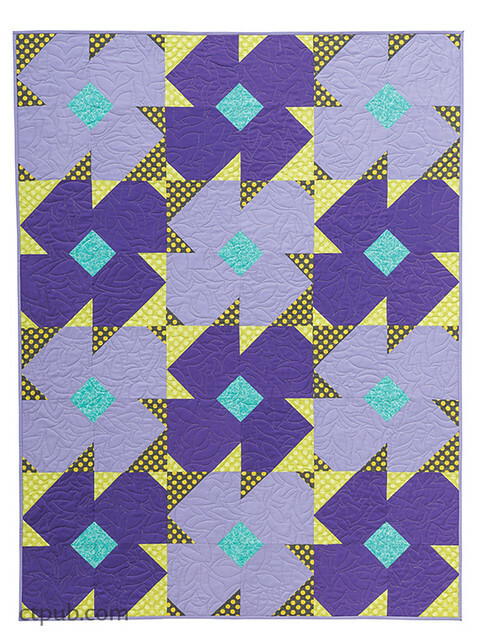 This 45’’ x 60’’ lap quilt can easily be made in a weekend or even in a day if you have your nose to the grindstone. The secret? The top is made with just 14 pieces! 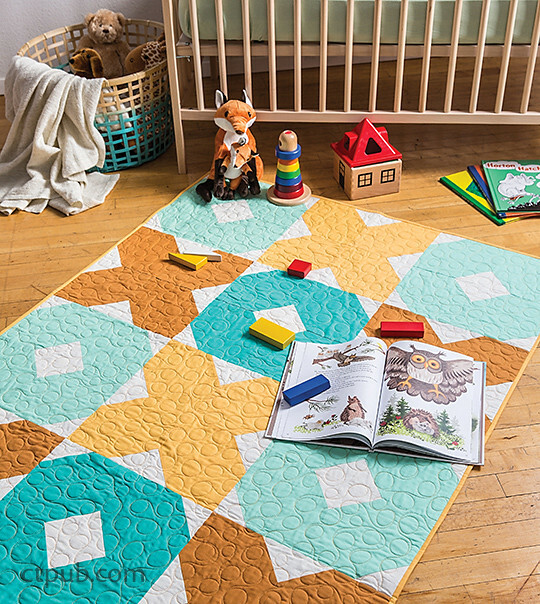 Just 14 pieces and I dare say that this quilt has just as much color, interest, impact and warmth as a 140 piece quilt top. By quilting standards, making a quilt from start to finish in a single weekend is instant gratification, but the journey that got me to this point was anything but quick and easy. Short Attention Span - I have the attention span of a common house fly. Call it inability to concentrate, lack of stamina, immaturity, call it whatever you like, the result is the same. I quickly lose interest in my project of the moment and if I do not bring it to a swift conclusion, something shinier and more interesting will walk by and lead me to reckless abandon. I know that this is not a unique condition to me. Do a Google search for ‘’UFOs’’ (UnFinished Objects) and you’ll see plenty of scientific evidence of their existence. Modern Lifestyle - Let’s face it. Our modern lifestyles are chock full of activities; work, chores, holidays, vacations, family issues and appointments, just to name a few. Often, obligations necessitate putting aside a project. For me, a lengthy shut down often results in project abandonment. If duty calls and I can’t for example finish a Halloween project by October 31st, the last thing I want to do is finish it in December. I am more likely to pack it away with the best of intentions of finishing it the following year, hoping that I if or when I remember to resurrect it, that I still like it and want to finish it. Often times however, this has not been the case. Imagery Overload - Thanks to the internet, we now have boundless access to every fabric, pattern and quilting idea ever conceived. This curse blessing continually lengthens my ‘’must do’’ list, making it more tempting than ever to throw over a work in progress for a fresh, trendy, exciting new project. A project that unfortunately, may soon fall out of favor due to my short attention span. Refer to bullet 1; and so it goes. The solution, Go Big, Go bold. The premise, get it done. Get it done within a reasonable amount of time, using a reasonable amount of effort. Circumvent that short attention span and get that big quilt done before you mentally run out of steam. Make one dozen big flowers, not six dozen little ones. Get it done, before the birthday party, not the graduation party when it is no longer relevant or on trend. Get it done, and get what you want. Take advantage of Go Big, Go Bold’s six palette suggestions for each pattern and sound fabric selection tips about scale, value and contrast. To celebrate the event, I am giving away a signed copy of my book to one of my lucky visitors. All you need to do to enter for a chance to win is leave a comment on this blog post; only one comment per person please. Be sure to include an e-mail address for me to respond to so that I can get in touch to receive shipping details. The draw will take place at 9:00 am US Eastern on Saturday November 28, 2015. The winner will be informed by e-mail and will be announced by an edit to this blog post. The book will be sent to the winner! I can relate to "imagery overload". 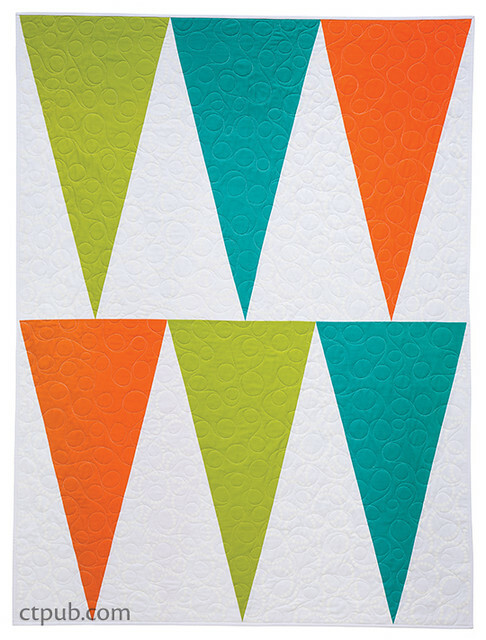 There are just so many quilts I want to make. I really like your big flowers blocks and would love to win a copy of your book. Congratulations! I'll be in touch by e-mail to get your shipping address. What a great topic for a book! Gorgeous cover - congratulations!! Pick me! 😜 love your style and I'm sure your book is fab!! Congrats on the book! What an accomplishment. They are all beautiful. Cool designs! Congrats on the book. I am pretty new to quilting and trying to find my own way. This seems like such a wonderful concept, I especially like that plus quilt! Yours would be the perfect book to help me decrees my stash pile in record time. Thank you for sharing. Congratulations! A book is a great achievement and what a wonderful idea you had, love the few sneak peeks already! Love your quilts. 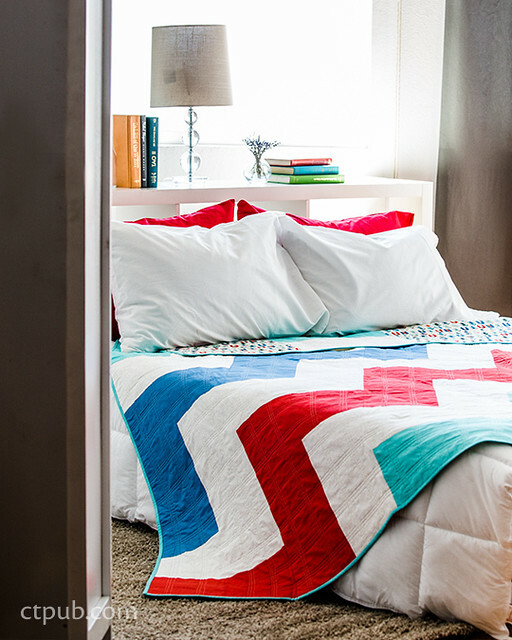 Great idea for using up some of my large pieces of fabric, and getting a quilt done quick. I so get the short attention span bullet. My WIPs are all over the sewing hole. The simpler the designs, the easier to get them done. Your book is a perfect match for us afflicted with QADD! Love your reasons of going bold, going big! I found myself getting wrapped up in a big project that it's no longer fun. You idea of something fun is a great inspiration! See quick results, get it done, and have some relaxing fun. Yes, I agree. We all have UFO's and I like your idea of 'getting it done'. The XOX quilt is cute. The quilts look great. 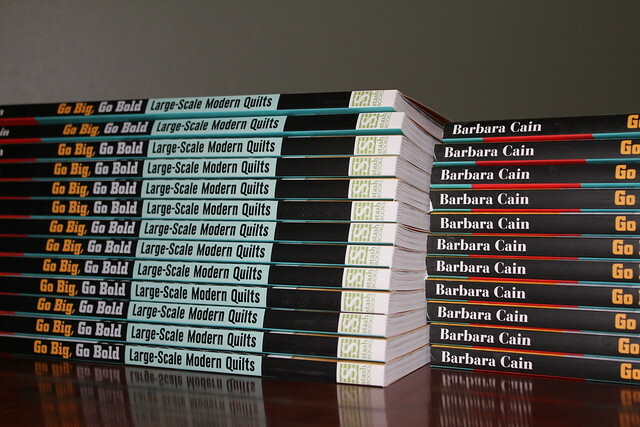 I am wondering how difficult it would be to cut very large pieces, but I'm sure your book has great tips.